The Periyar National Park, also known as the Periyar Tiger Reserve, is an incredible wildlife sanctuary located in the mountainous ranges of the Western Ghats, on the state borders of Tamil Nadu and Kerala. 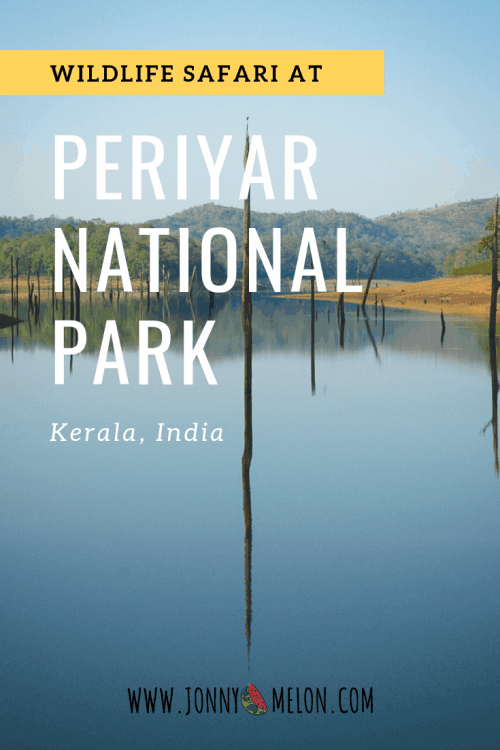 I spent half a day at the Periyar Tiger Reserve and have put together this guide for everything you need to know before you go! The best way to reach Periyar National Park is by public bus. 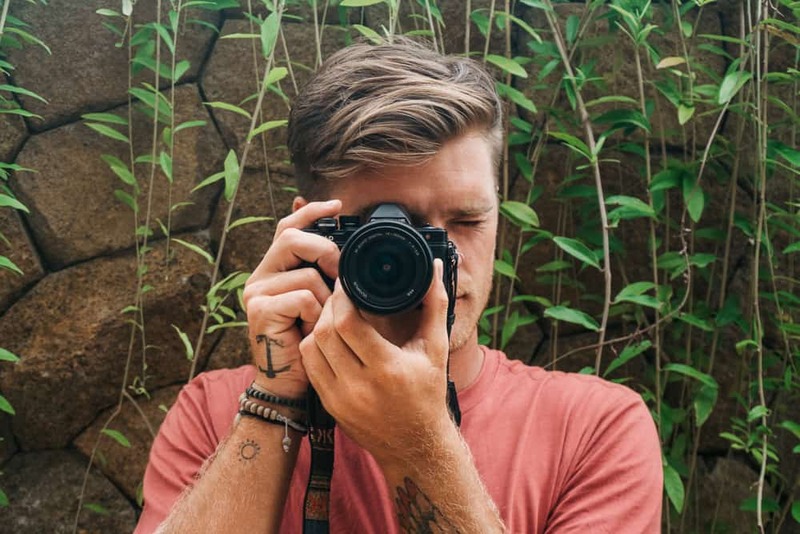 Daily buses operate from Kochi bus station to Thekkady, which is the nearest town to Periyar and the cost is 150 rupees for a journey time of around six hours. 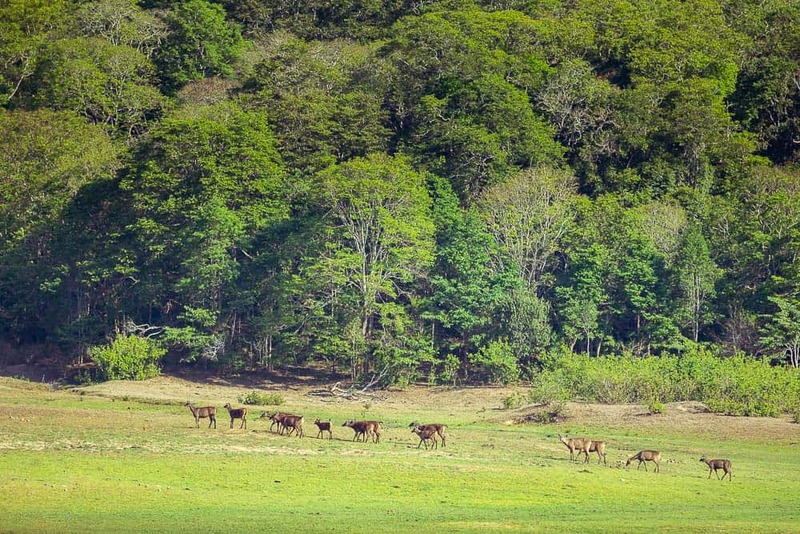 I recommend spending at least one or two nights in Thekkady to experience the Periyar National Park Safari and visit nearby points of interest such as the spice and tea plantations. I highly recommend purchasing your entrance ticket to Periyar Tiger Reserve online in advance to guarantee the best possible rates. 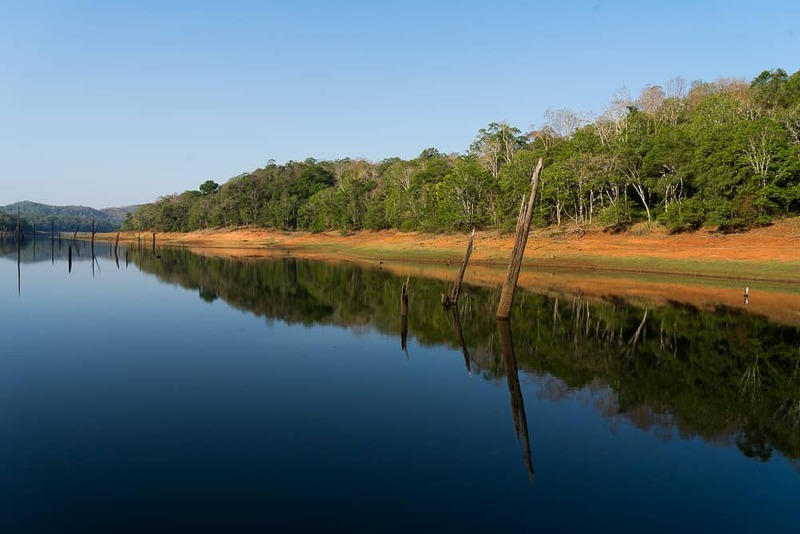 The Periyar National Park entrance fee is 500 rupees which also includes the 90-minute boat safari on Periyar Lake. 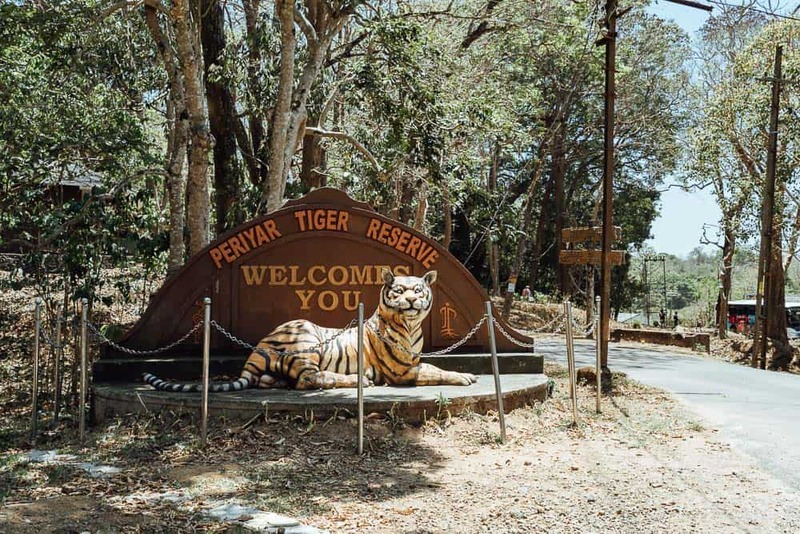 If you don’t end up booking the Periyar Tiger Reserve online, there is an alternative option to pay at the main entrance to the park, however, this is more expensive and there is generally a long queue of people. 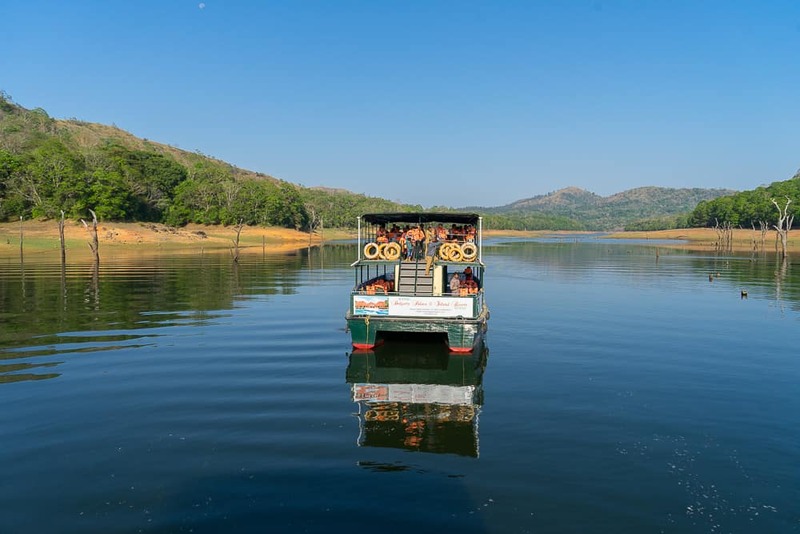 The entrance fee is the same as if you book online, 500 rupees, though be aware that there is an additional charge of 150 rupees for the Periyar Lake boating safari. The Periyar Sanctuary is open 7 days a week, Monday to Sunday from 6:30am to 4:00pm. The Periyar Lake boating times are 7:30am and 3:30pm. It’s best to arrive thirty minutes before the boat safari is scheduled for departure and the Periyar boating duration is 1.5 hours. 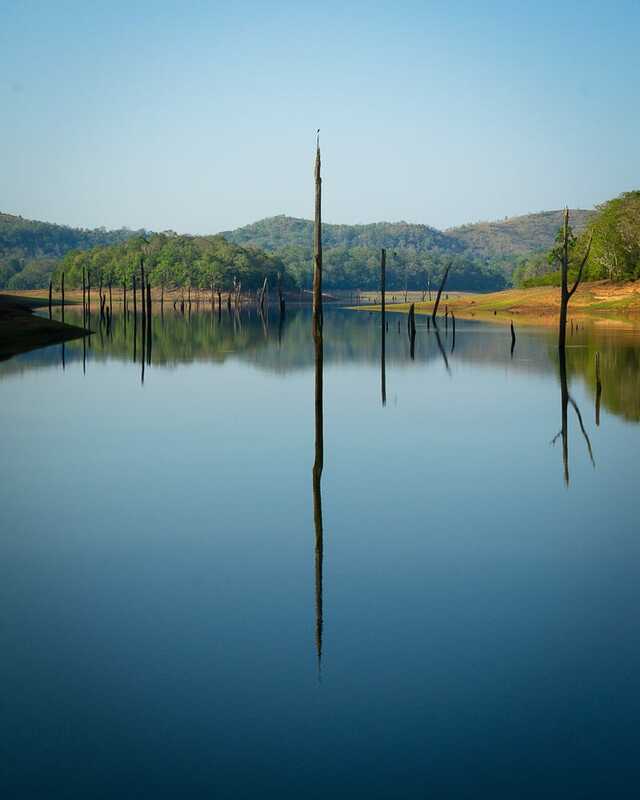 Periyar Wildlife Sanctuary Thekkady is most popular for its many tigers and elephants that roam freely inside the park. Apart from these two majestic creatures, the park is also frequented by sambar deer, leopards, otters, Indian bison and countless species of birds. So yes, I guess now you can start getting excited for your incoming Periyar Wildlife Safari! 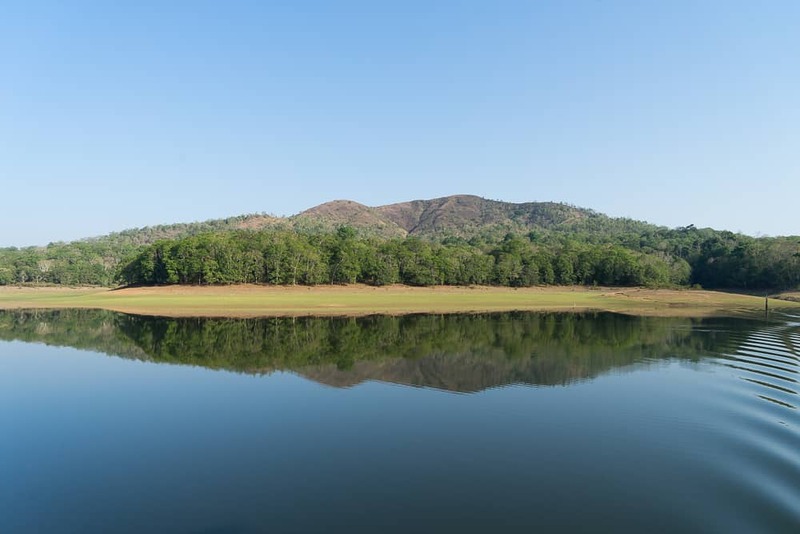 There are many activities to experience once inside the Periyar Sanctuary such as boating, nature walks, trekking, night scouting, border hiking, bamboo rafting and camping. 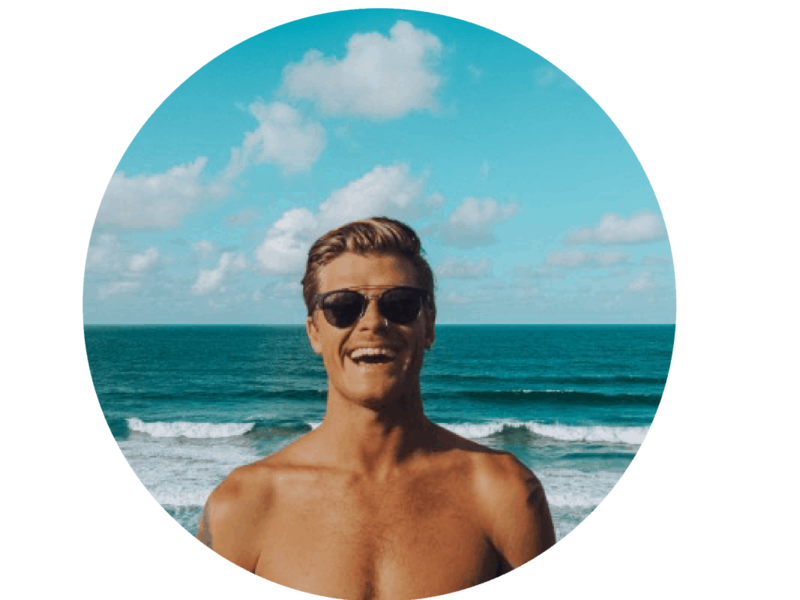 For rates and availability, Click Here to find what best suits you and book online in advance. My friends and I opted to do the Lake Periyar Boating Safari and it was an adventure I will never forget. We arrived early at Periyar National Park to make the first voyage out on to the lake at 7:30am. The sun had just risen and the light was perfect for taking photos. We boarded the boat and took off ever so slowly out on to Periyar Lake to begin the safari. There was not a single gust of wind as we cruised across the mirror-like lake and the reflections were the most phenomenal reflections I have ever seen! During the boat trip, we spotted many species of birds, my favourite being the kingfisher, herds of deer, a group of otters and bulbous bison. Unfortunately for us, we didn’t have much luck sighting any elephants or tigers, nevertheless, the 1.5 hour boat safari was an unforgettable experience and I enjoyed every minute! 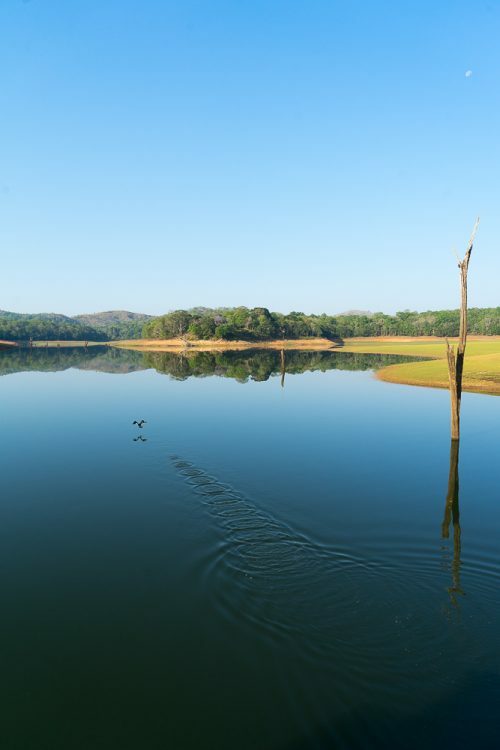 Tip: Get your hands on a pair of binoculars before the Periyar Safari. They can be rented from the ticket office at the main entrance and they’ll better your chances of spotting some tigers and elephants. 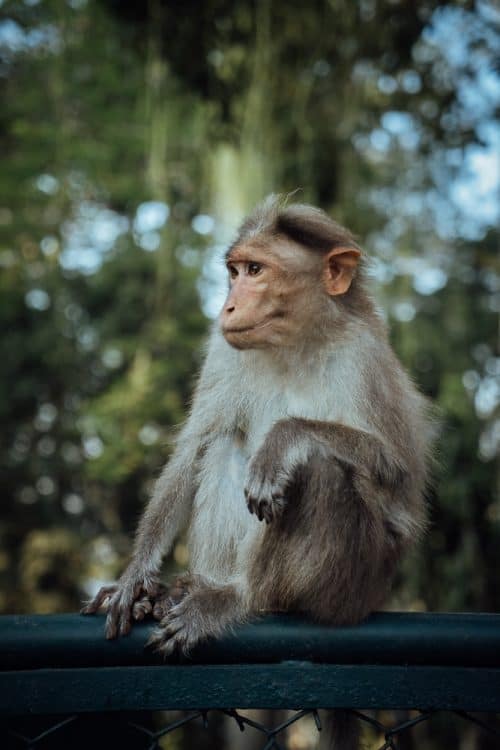 I hope you enjoyed reading this article and if you have any questions about the Periyar National Park Safari, please leave me a comment below and I will get back to you as soon as I can!